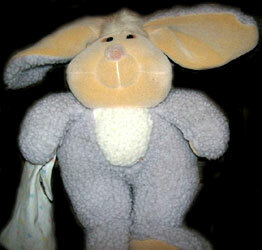 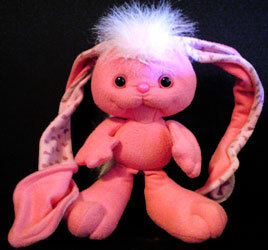 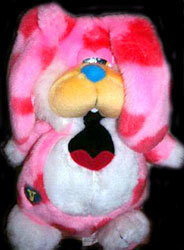 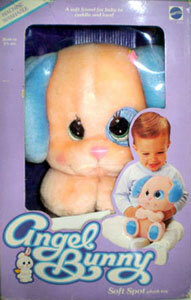 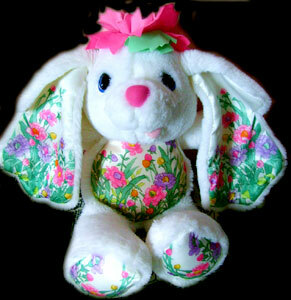 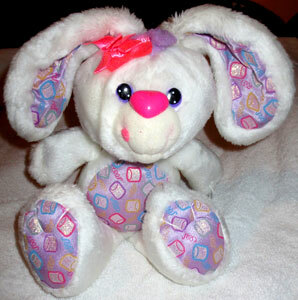 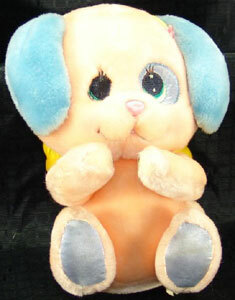 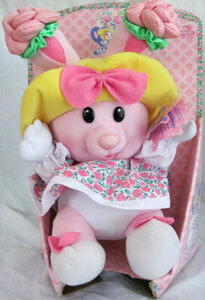 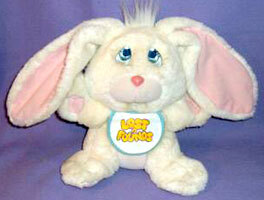 Angel Bunny was produced by Mattel in 1984-85, and was a small series of plush animals and toys for babies and toddlers. 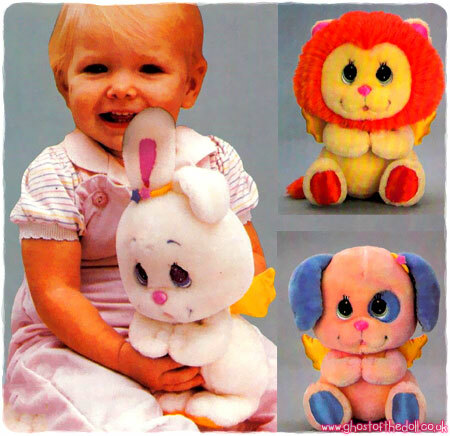 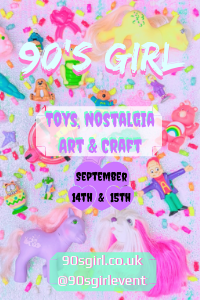 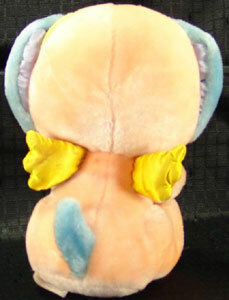 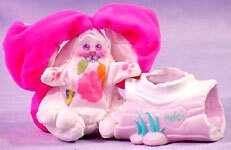 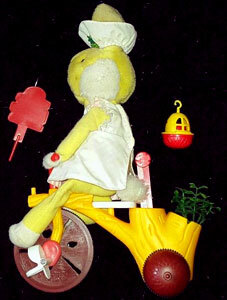 Images on this page thanks to Nhtpirate and eBay sellers Toy's n Lovey's , tightwad67 , Marsha's Toys and mythreegirls3 ! 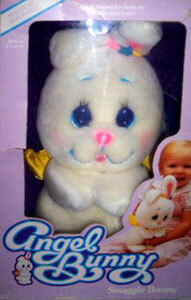 View all Angel Bunny on eBay.com or eBay.co.uk ! 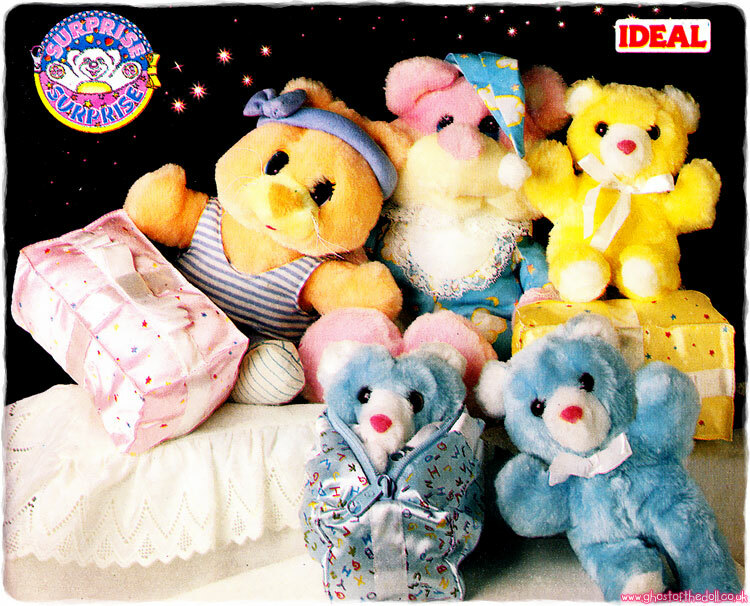 There were at least three large plush animals produced, maybe four (a bear). 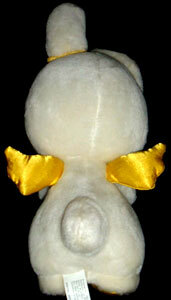 Each had a little "halo" ring around one ear and satin wings on their backs. 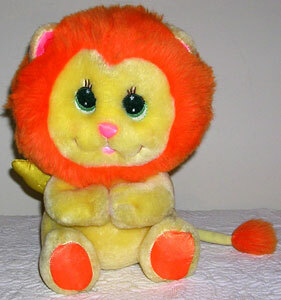 They measured around 10 inches high and had velcro paw so they could stay closed or be left open. 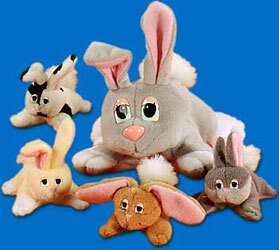 Each had its own name. 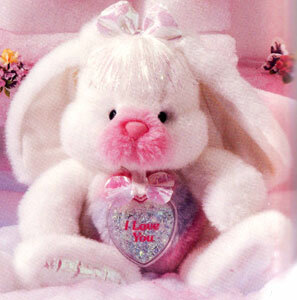 "Every baby will want to cuddle and love this soft, furry bunny." 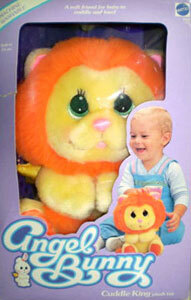 "This friendly lion is also soft, huggable and lovable." 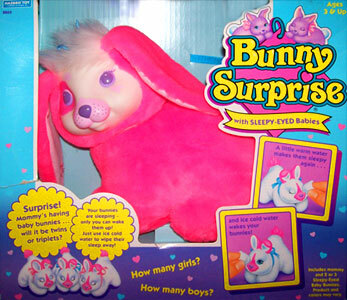 "Just like Snuggle Bunny, this playful puppy is soft and cuddly."